The Erwine family of companies comprised of Erwine Home Health and Hospice Inc. and Erwine Private Duty Health Care Inc. are vital, growing health care providers with an outstanding tradition of excellence. With our commitment to personalized care, service, technological advancement and concern for patient, family and the community, we’re putting caring back into health care. As a growing company, we are always on the lookout for good people who love what they do and have a genuine concern for people. Our team is made up of both skilled certified professionals and non-skilled personnel. Our certified professionals includes registered nurses, wound specialists, pain management nurses, clinical pharmacist, licensed practical nurses, physical therapists, speech therapists, occupational therapists, medical social workers and nutritional counselors. 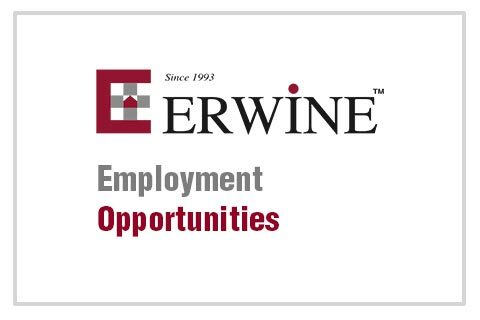 Erwine is also in need of Home Health Aides/ Nurses Aides. We provide a pleasant, friendly, upbeat and stimulating atmosphere where patient care is of primary concern. If you feel this is what you have been looking for and want to be part of a friendly-concerned team of health care professionals, we would love to hear from you. Erwine Home Health and Hospice Inc.
© Copyright 2018 This site and its content are protected by U.S. and international copyright law. All right reserved.